United put their prices back up to $800+ today, but interestingly enough, Delta responded by matching and even beating United's prices. Delta's flights into Newark (EWR) are down to $392 roundtrip after taxes at the moment. United just made a large unadvertised price cut on their flights to New York City's Laguardia airport (LGA). It seems to have affected flights all the way up to August of 2012. Anyone thinking of going to New York in the next year may want to have a look today. That's about 48% cheaper than the next cheapest airline! Try any month between now and August 2012 and you're likely to see the dropped fares. No, I don't know how long it will be available. Unadvertised price cuts like this can come and go on a moment's notice. In my experience, unadvertised cuts on United don't usually stick around for more than 24-48 hours. 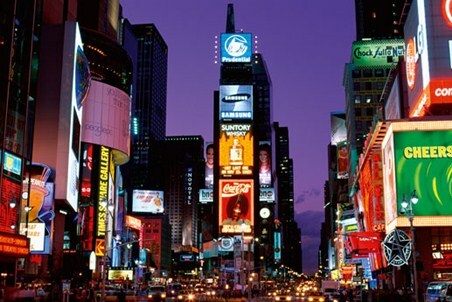 Regina to New York City - $293 CAD roundtrip including taxes | new record! regina, yqr, united states, flight deals, delta, united, new york city, new york, newark, new jersey, ewr and lga.